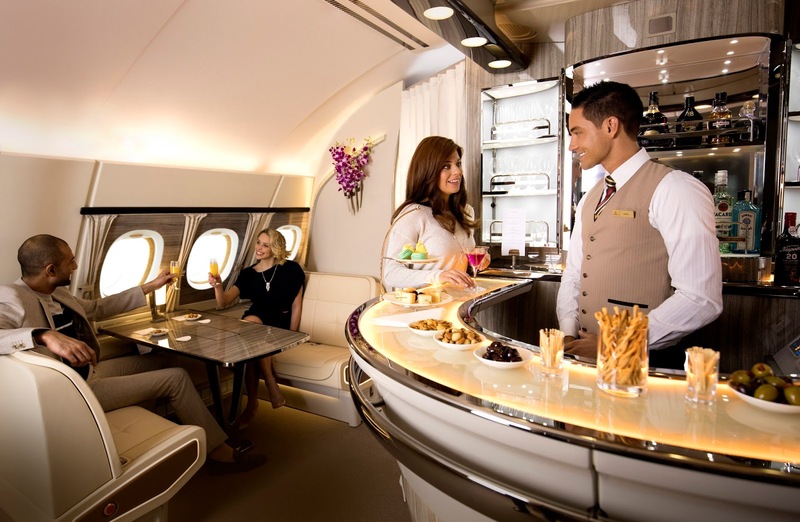 Emirates announced recently that it will go through a multi-million dollar cabin interiors upgrade programme includes an enhanced Onboard Lounge for its flagship Airbus A380 aircraft. The new look of Emirates Onboard Lounge for its Airbus A380 aircraft! Emirates is Skytrax’s World’s Best Airline 2016, will launch a series of new cabin products and enhancements in 2017 for both its A380 and Boeing 777 fleet. 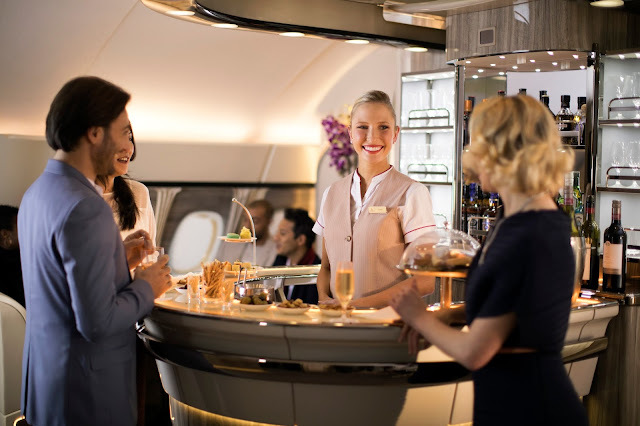 The A380 Onboard Lounge is hugely popular with our customers, and has become an iconic feature of Emirates’ A380 offering. Particularly on long-haul flights, our customers tell us they appreciate the opportunity to stretch their legs and mingle in the relaxed, yet classy lounge area. Since we first launched the product in 2008, our A380 Onboard Lounge has gone through small but successive enhancements in line with customer feedback to increase the amount of space for our customers to interact in the lounge. In our latest revamp, we have taken inspiration from private yacht cabins, and amongst other thoughtful touches, we have increased the seating space, and also made it more intimate and conducive for our passengers to socialise or enjoy our lounge service. 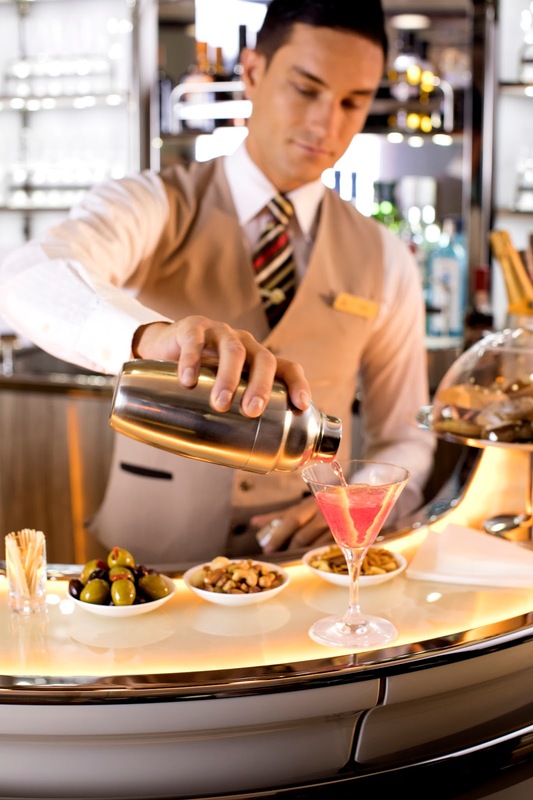 While retaining the trademark horseshoe-shaped bar, Emirates’ latest A380 Onboard Lounge will offer more seating space with a new seating arrangement along the windows on both sides of the bar. Inspired by private yacht cabins, each seating area will have a table and window view. Overall, the lounge can comfortably accommodate up to 26 passengers at a time, including 8 seated. To find out more about the Emirates A380 experience, please click here. And in case you are a HUGE, BIG fan of Emirates, do you know you can purchase some of the merchandise products online? Click here to find out more.